Will the City of Brotherly Love Show the Love? As Malcolm Burnley highlights in Philadelphia magazine, many Philadelphia nonprofits face perilous times, as 40 percent skirt close to the financial edge. Burnley’s observation is based on a report commissioned by the Philadelphia Foundation and coauthored by GuideStar, Oliver Wyman, and SeaChange Capital Partners titled “The Financial Health of Philadelphia-Area Nonprofits.” We at NPQ say the report provides a “window into challenges that face nonprofits everywhere.” For that reason, we reprinted the report in full earlier this month. But while the report touches on universal themes—among them, the need for nonprofits to build reserves, the importance of contingency planning by nonprofit executives and boards, and the need for funders to support nonprofit overhead—its natural focus was on findings specific to Philadelphia nonprofits. More than 40 percent of Philadelphia nonprofits are running at a loss or producing no surplus funds at all. Around seven percent of the region’s nonprofits are insolvent, which means their liabilities exceed their assets, and for health and human services organizations, that rate is 13 percent. To get ahead of the coming challenges, in 2015 a team of nine funders, including the region’s largest funder, the William Penn Foundation, launched the Greater Philadelphia Nonprofit Repositioning Fund. The fund’s mission is to support partnerships and collaborations among nonprofits to foster financial sustainability in the region. Getting there will necessitate difficult conversations, including the possibility of responsible mergers between organizations. As Burnley notes, Philadelphia “ranks remarkably low in dishing out tax-deductible donations.” An October 2017 report ranked Philadelphia at 43rd in percentage of donations out of America’s 50 biggest metros. Burnley faults the relocation of The Annenberg Foundation to Los Angeles and a shift in focus of the Pew Charitable Trusts to national issues for weakening local philanthropy. That said, Burnley acknowledges that “of greater long-term consequence has been the impact of white flight and concentrated poverty…As a general rule, rich enclaves invest less money in nonprofits and charities than rich individuals living within economically diverse areas.” For example, Burnley notes that suburban Bucks County has a giving rate of only 1.9 percent, compared to a state average of 2.6 percent. A more fundamental challenge is Burnley’s failure to consider non-donation sources of revenue. For the nonprofit sector as a whole, donations are 21 percent of revenues. Even when one looks solely at human service nonprofits, a 2008 survey found that “about 25 percent of total revenue…came from fees for service from private sources and 24 percent from government sources. Private contributions made up roughly 13 percent. 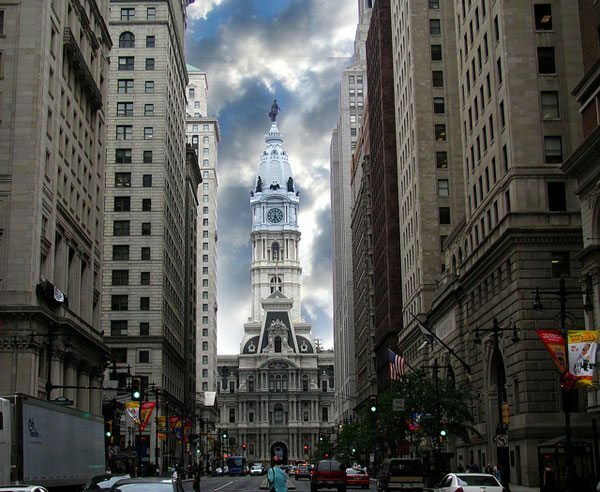 Another seven percent of revenue came from government grants.” Of course, without program revenue, Philadelphia’s nonprofit sector would be a sliver of what exists today.